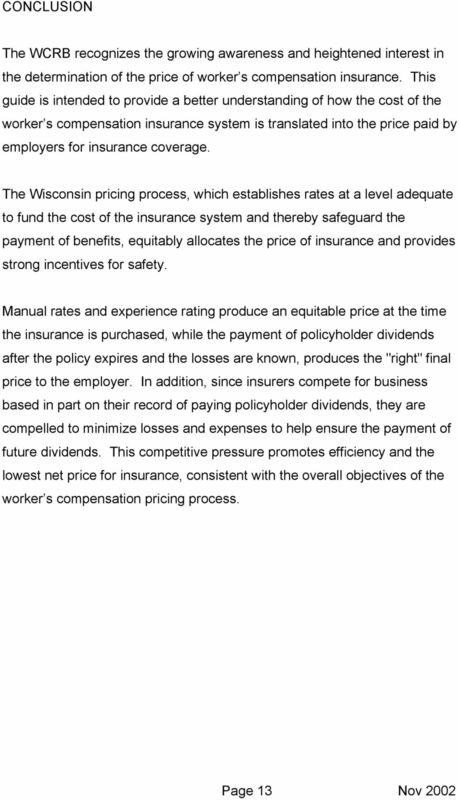 Download "Worker's Compensation Insurance in Wisconsin THE SYSTEM, THE BENEFITS, THE COSTS A REFERENCE GUIDE FOR EMPLOYERS"
1 Worker's Compensation Insurance in Wisconsin THE SYSTEM, THE BENEFITS, THE COSTS A REFERENCE GUIDE FOR EMPLOYERS This guide is intended to provide a general, non-technical explanation to help employers understand the basic principles of the worker s compensation system in Wisconsin. 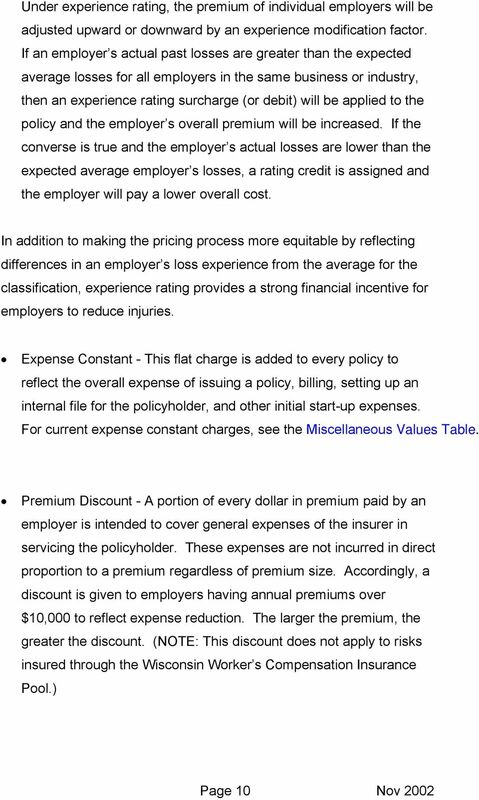 The sections that follow cover administration of the system, the benefits payable to injured employees and pricing that will help employers understand how their costs are determined. 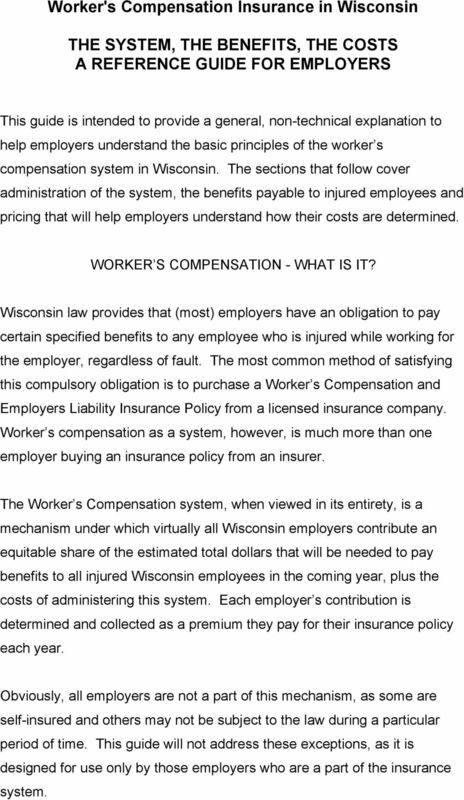 WORKER S COMPENSATION - WHAT IS IT? 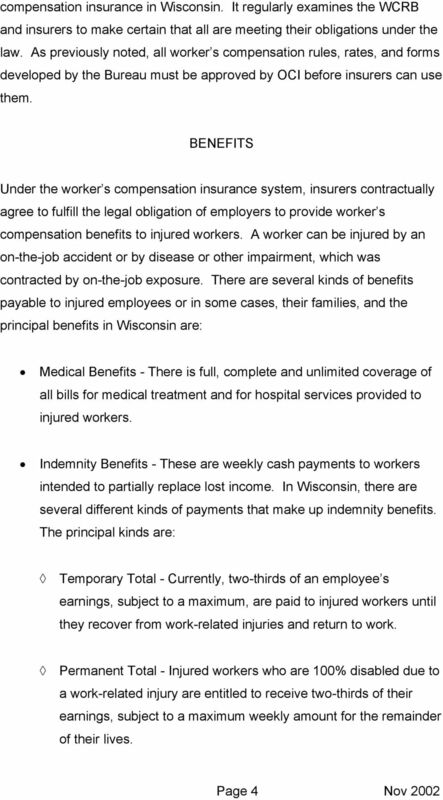 Wisconsin law provides that (most) employers have an obligation to pay certain specified benefits to any employee who is injured while working for the employer, regardless of fault. 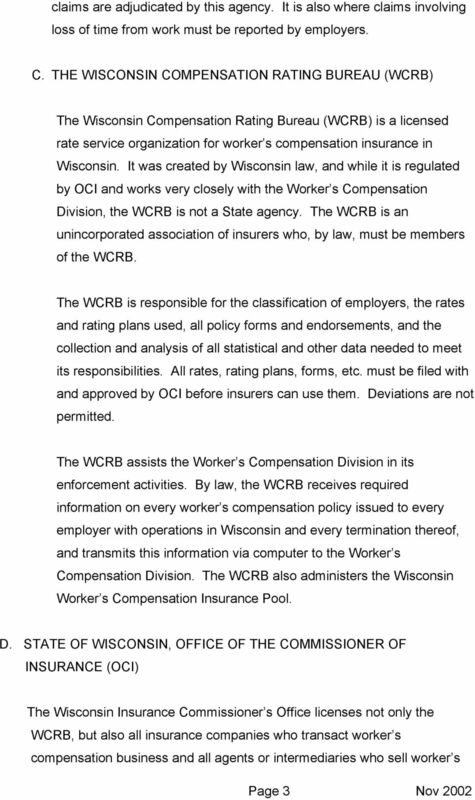 The most common method of satisfying this compulsory obligation is to purchase a Worker s Compensation and Employers Liability Insurance Policy from a licensed insurance company. 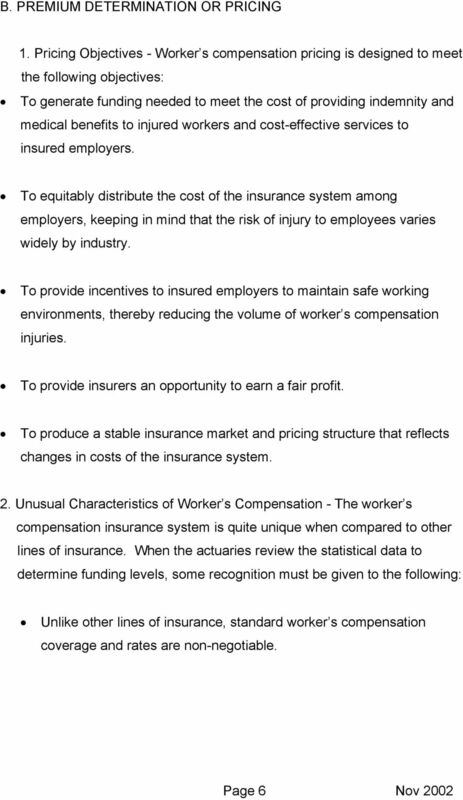 Worker s compensation as a system, however, is much more than one employer buying an insurance policy from an insurer. 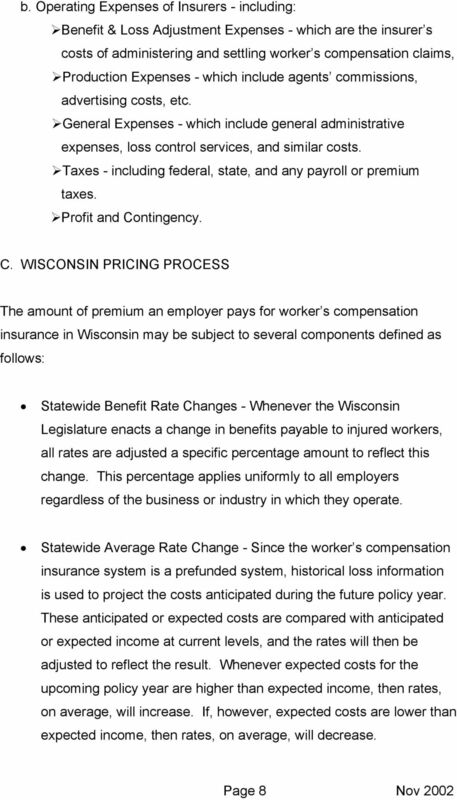 The Worker s Compensation system, when viewed in its entirety, is a mechanism under which virtually all Wisconsin employers contribute an equitable share of the estimated total dollars that will be needed to pay benefits to all injured Wisconsin employees in the coming year, plus the costs of administering this system. 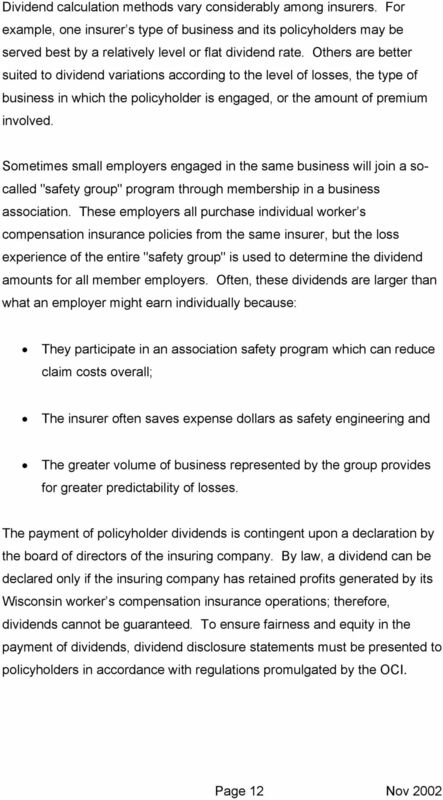 Each employer s contribution is determined and collected as a premium they pay for their insurance policy each year. 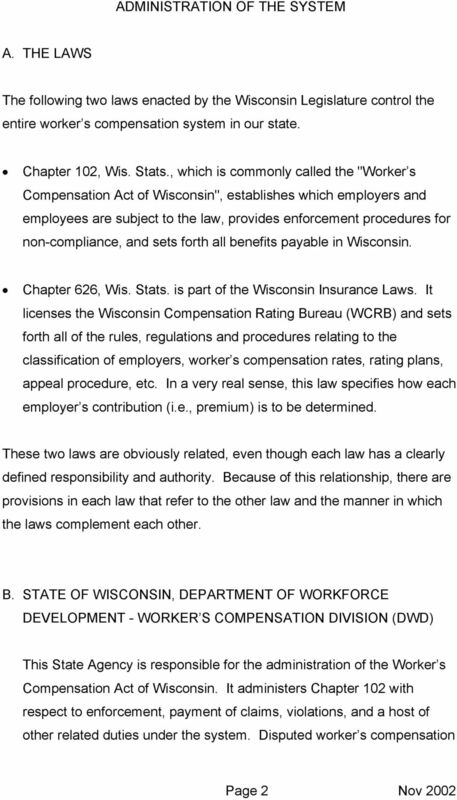 Obviously, all employers are not a part of this mechanism, as some are self-insured and others may not be subject to the law during a particular period of time. 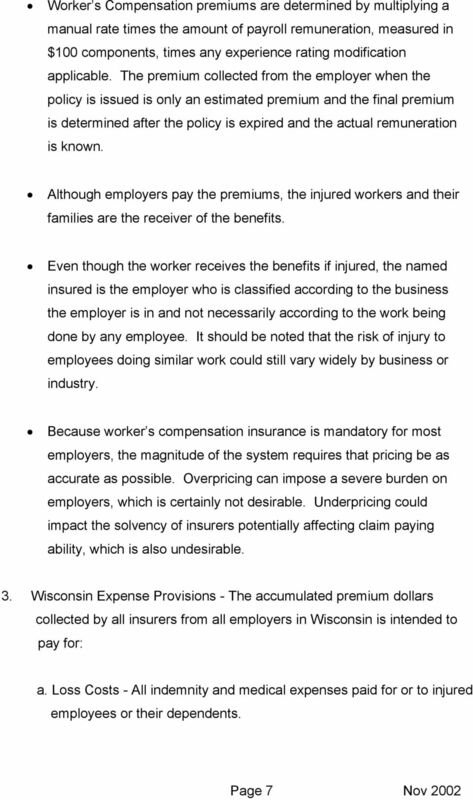 This guide will not address these exceptions, as it is designed for use only by those employers who are a part of the insurance system. GLOSSARY. A contract that provides for periodic payments to an annuitant for a specified period of time, often until the annuitant s death. 1 Updated 13 14 Wis. Stats. 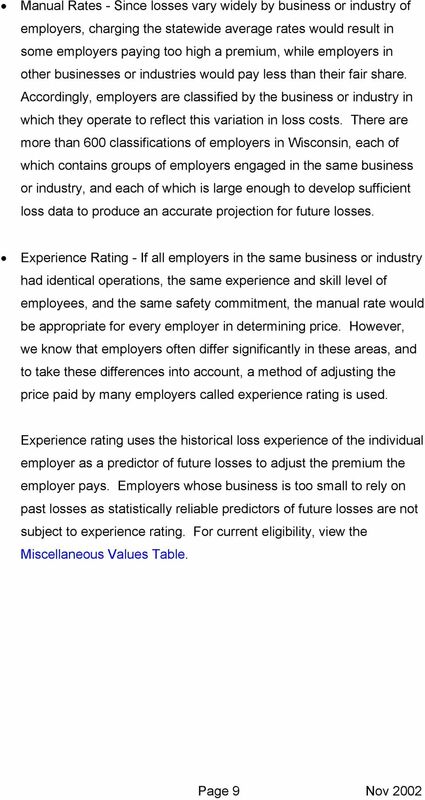 INSURANCE ACCOUNTING AND RESERVES 623.06 CHAPTER 623 INSURANCE ACCOUNTING AND RESERVES 623.01 Applicability. 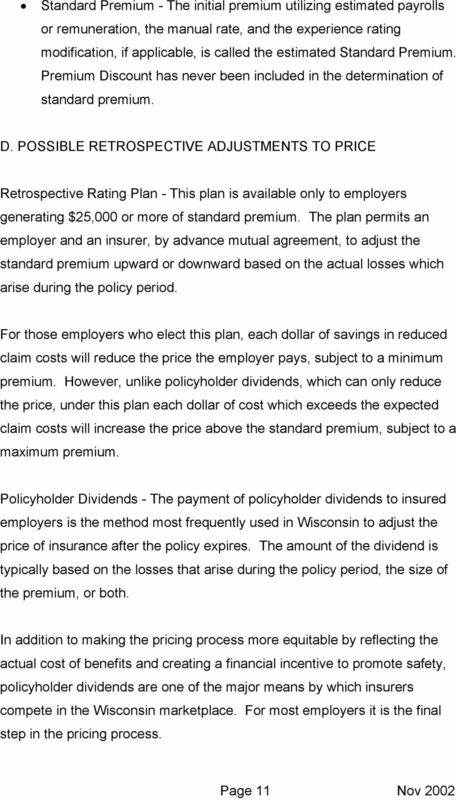 623.02 Standards for accounting rules. 623.03 Valuation of assets. Commissioner Donna Lee H. Williams 841 Silver Lake Boulevard * Dover, DE 19904 * (302) 739-4251 (Hours: Mon-Fri 8-4:30 EST) www.state.de. 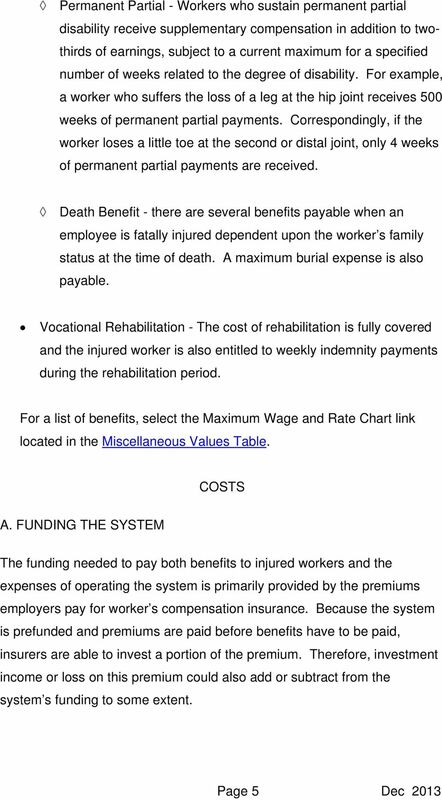 No one likes to think about the possibility of being seriously injured in an accident or becoming too ill to work. But it can happen to any of us.